A door opened and I went through it. Let's open some doors to see what awaits us on the other side. Is it a door that holds opportunity? A door that holds a story? Is it a door you have been hesitating to open? Is a gate to a new life? A door to a new adventure? Is it a door that holds a memory? Is it the perfect door for a simple picture? You have arrived at the door for a reason, open it up and step in! What a fun prompt to receive in my email and it got me to thinking. You see I am pretty much a hermit during the winter as the cold and wet cripple me up. Luckily I am able to work from home so being a hermit works. So the door that is important to me right now is my front door. It brings people over to visit and my dragon guards my packages containing bits and baubles for my jewelry. Now be sure to click here so that you can see where other doorways lead. We all have the opportunity to go through doors of our life. I try to be aware of mine and choose without fear. 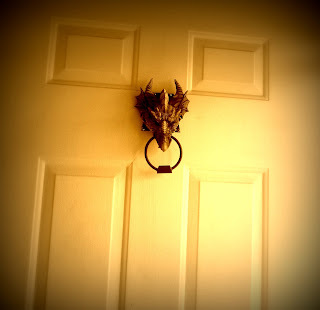 What a cool door knocker! I LOVE it!! 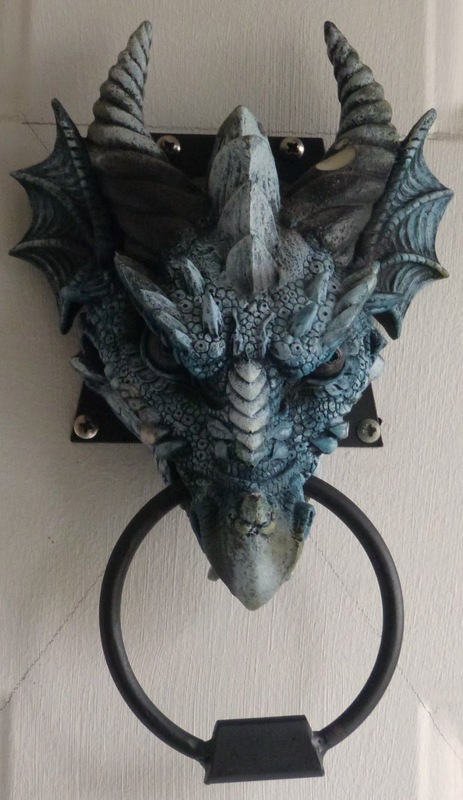 Oh my, that is one cool door knocker, indeed!! Cool photograph of it, too!! That dragon is gorgeous! I have to admit I am a hermit in the winter just because I love being alone and letting my creative side out to play. That dragon would sure scare away any thieves!!! That is an impressive doorknocker! A good guardian for your packages. That is the most awesome door knocker I have ever seen and I am so jealous right now! That first photo is amazing! LOVE the door knocker. I want to find something like that for my daughter! 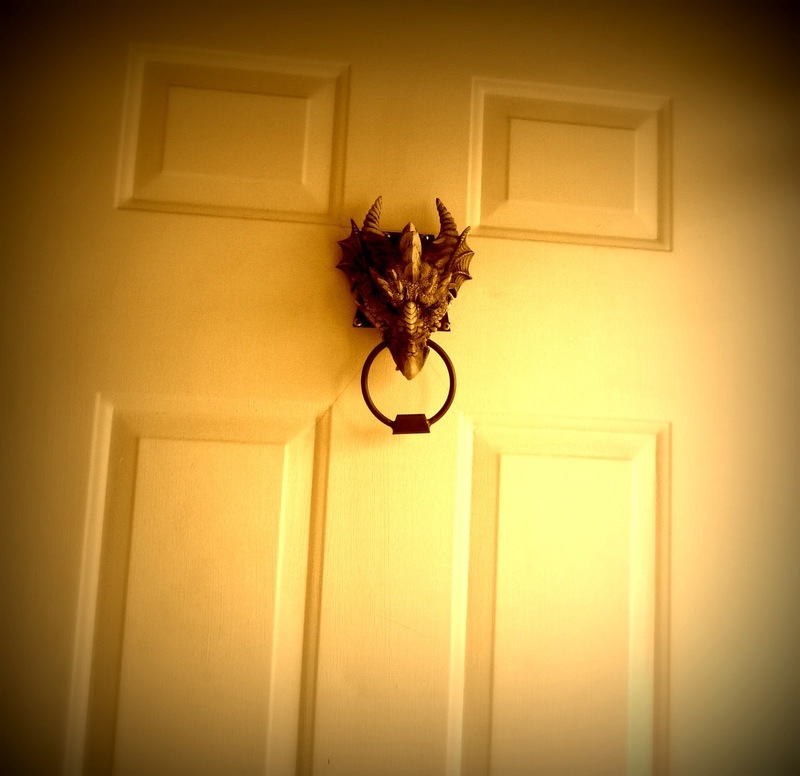 I love your door knocker!